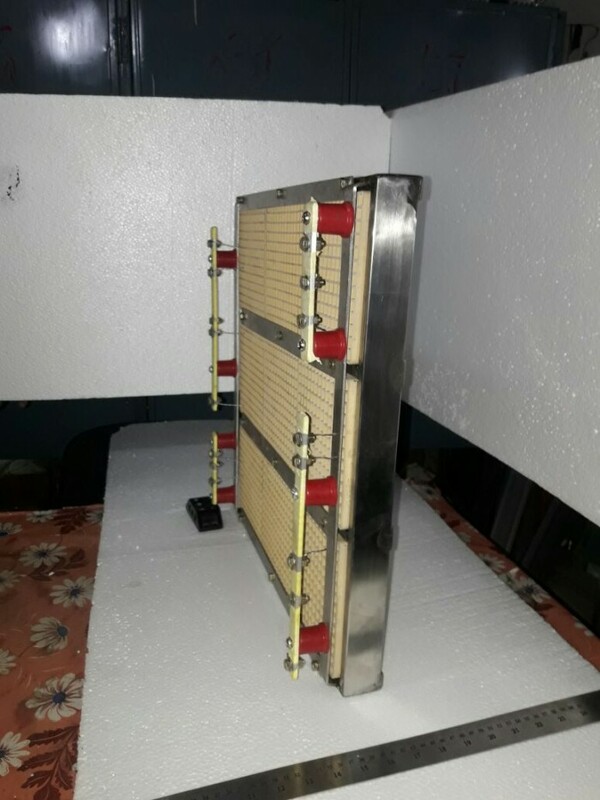 The present invention relates to an improved electrical heating device for forced convection heating as well as for radiant heating,the device having minimum number of element supporting components and with the heating element held and supported between two parallel walls of a modified ceramic honeycomb, in such a way that the supported element is perpendicular to the direction of the air flow while being open to air flowing through the channels the heating element being also protected from direct physical contact with the metallic body of the outer shell/enclosure. Very High Watt densities can be arranged with this innovation and probably the most compact air heater or air duct heater can be manufactured with this design. Except for the terminals , the entire heating element sand witched between two ceramic honeycombs making it the safest high wattage air heater available in the market today. The pressure drop across the heating unit is comparable or even better than most conventional finned systems. a 50 KW heater can be accommodated in a space of 18" x 18 " x 4" space.without the fear of sagging or shorting. A images corrected version of the patent is republished by USPTO. or ask the inventor. 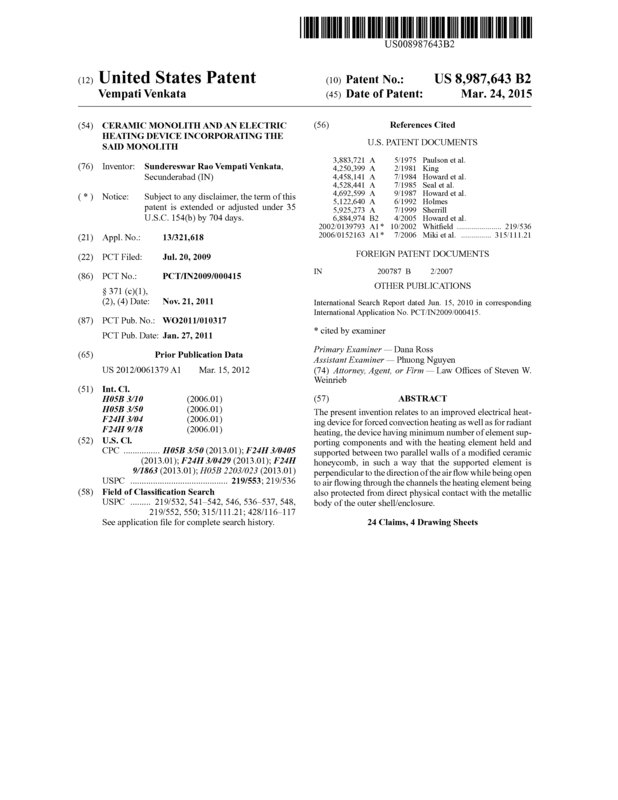 Page created at 2019-04-23 6:09:30, Patent Auction Time.